Brightness level plays a vital role in the battery performance of any laptop or other devices which are currently working on battery. Battery performance is directly related to the level of brightness of screen though some of the other apps may also play a role in the quick or slow battery drainage. 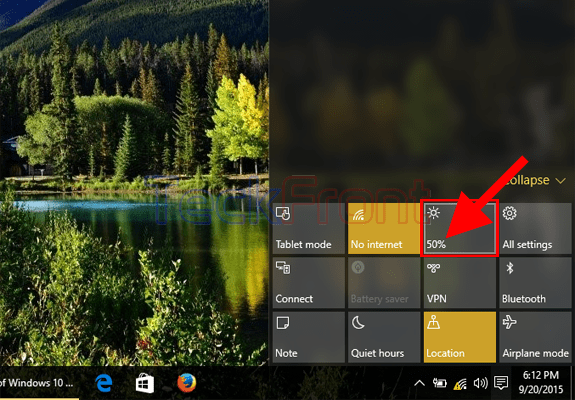 In the Windows 10, battery level can be managed with the help of battery saver feature of Windows 10 but still brightness level is still the best option available to save battery. 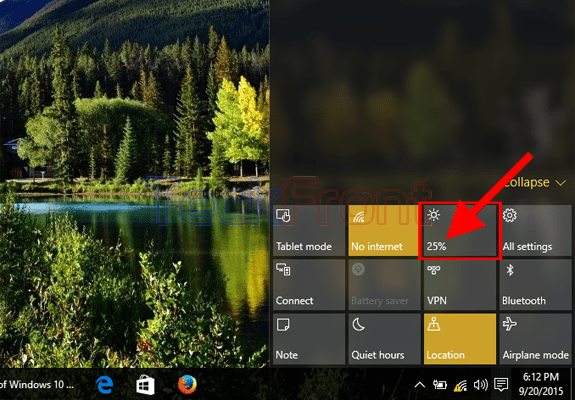 Like other previous versions of Windows, brightness level control in Windows 10 is given a prime importance but the mechanism of the battery control mechanism is changed a little. 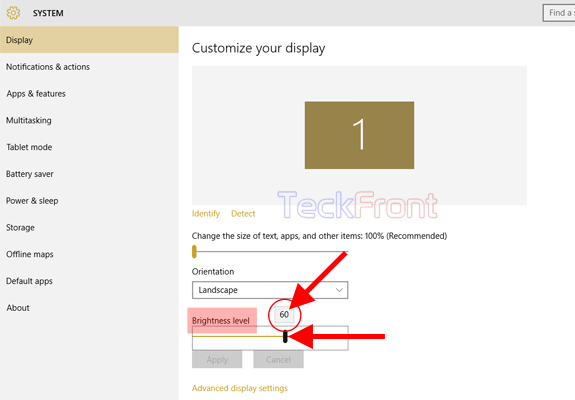 It is easier, now, in Windows 10 to manage brightness level and can be done via many other methods but I have discussed only 2 methods to manage brightness level. If you feel need, do see the instructions. 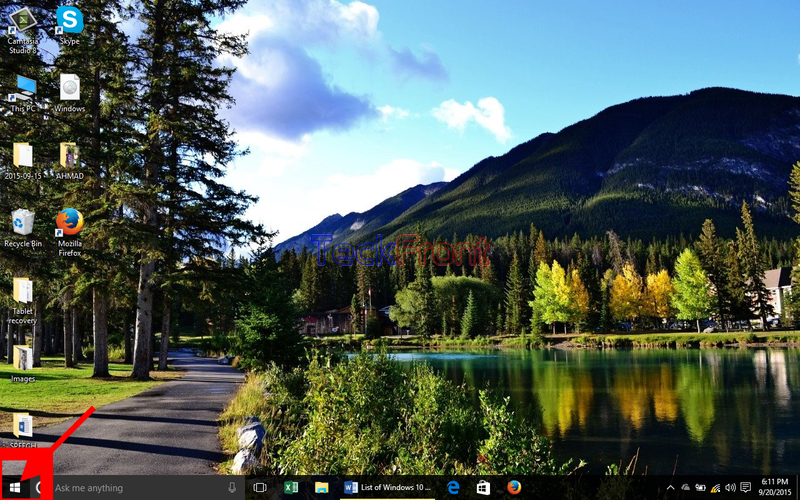 1: Press the ‘Start’ button, placed at the bottom left corner of the Windows 10 desktop, to open up the ‘Start Menu’. 2: At the ‘Power Menu’ press the ‘Settings’, placed at bottom left column of the ‘Power Menu’. It will open up the ‘Settings’ window. 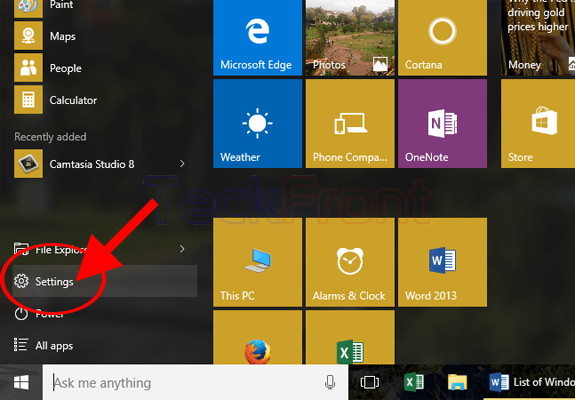 3: At the ‘Settings’ window, press the ‘System’ folder which depicts ‘Display, notifications, app, power etc.’ features. 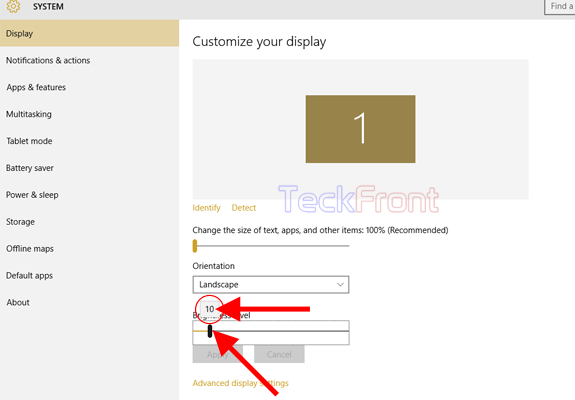 4: At the ‘System, window, press the ‘Display’ option, placed at the top of the right-sided column. 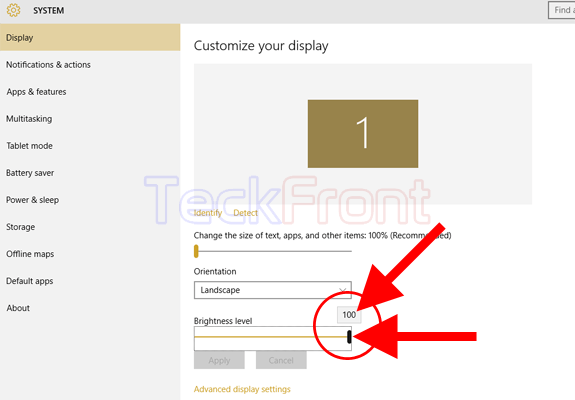 5: Under the ‘Customize your display’ column, move your cursor to the ‘Brightness level’ and press the header of ‘Brightness level’ slider and see it is at 100%, i.e. at the maximum. 6: Press the header of the slider and drag it to the left to adjust the brightness level to your desired level. I set the brightness level to 10%. See the brightness of the screen will decrease immediately. Now, let’s have a look on the other mechanism to manage brightness level. 7: Press the ‘Action Center’, aka notification center, at the bottom right corner of the task bar. 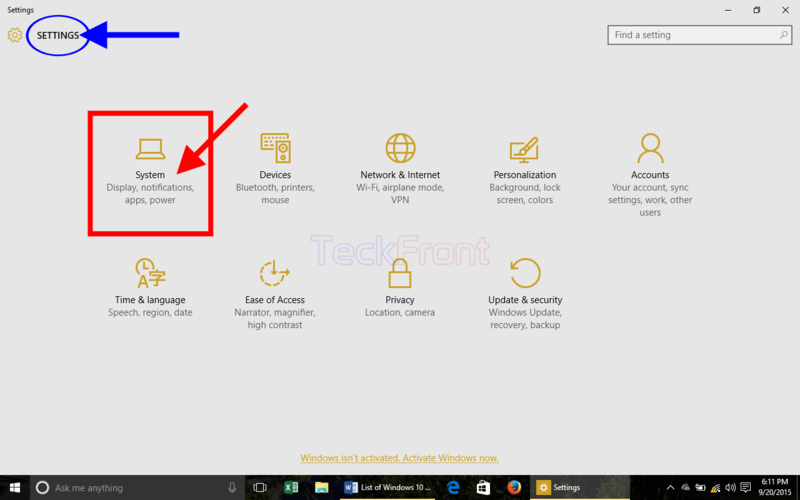 A popup, named; ‘Action Center’ will open up at the right side of the desktop window. 8: See the current ‘Brightness level’ is set at 10% at ‘Quick Action’ button – the same level set in the previous mechanism through ‘Settings’. 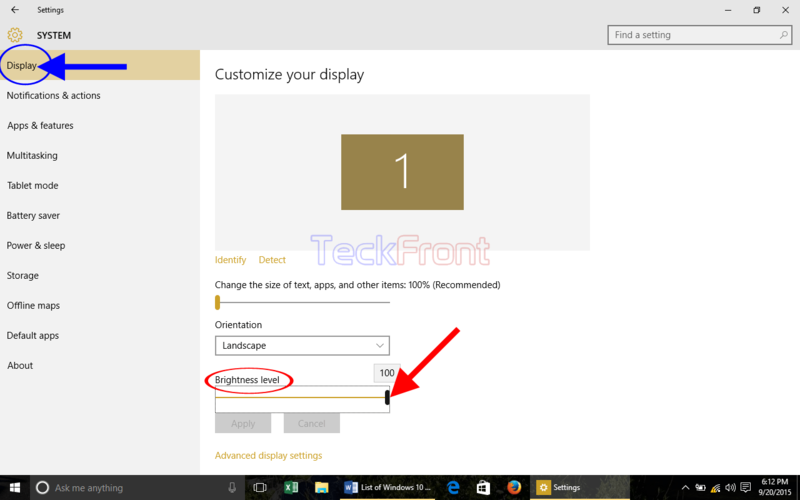 9: If you want to change the brightness level on your PC screen, just press the ‘Quick Action button once and it will change to 25%. 10: Just press the ‘Quick Action’ button for one more time and the screen brightness will increase to 50%. Each press on the ‘Quick Action’ button will change the brightness level by 25%, reaching to 100% by maximum. 11: Now to counter check the brightness level, check back the brightness level from ‘Settings’ and it will be 100% over there as well. 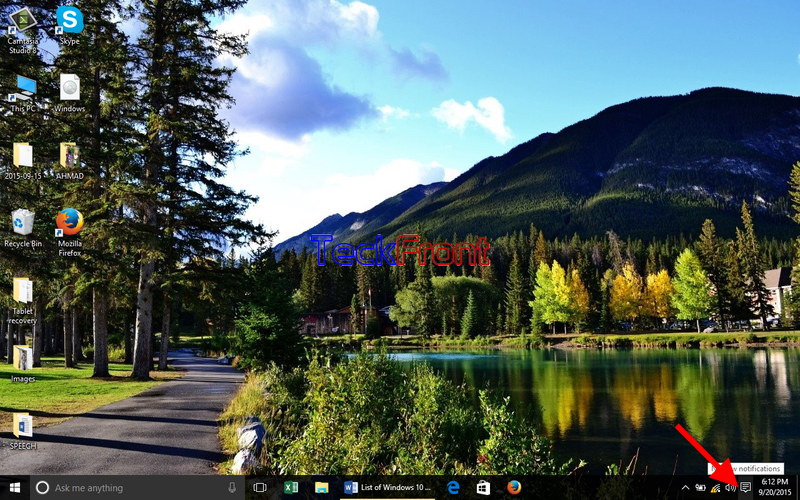 Newer How to Change Landscape Orientation to Portrait in Microsoft Windows 10? 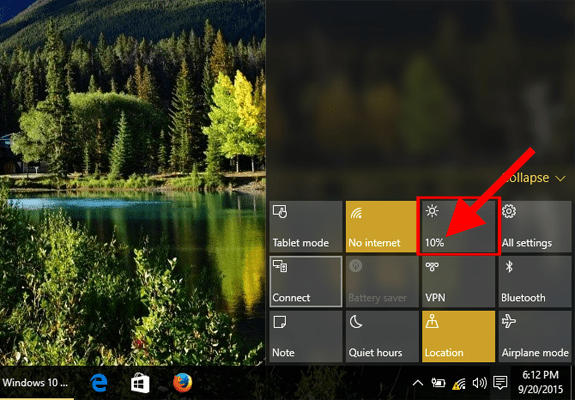 How to Set Windows 10 to Run on Energy Consumption Mode to Save Power?